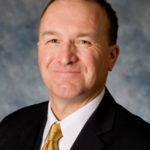 Since 1967, Robert L. Bowen, Ph.D, P.E., Dist.M.ASCE, has distinguished himself in the construction industry as the founder and chairman of Indianapolis based Bowen Engineering Corporation. The multi-market company specializes in water and wastewater treatment plants and energy utility construction, that covers 15 states throughout the Midwest and Southeastern United States. 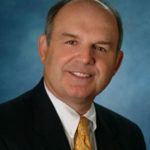 He is considered an authority on preplanning and leadership practices in construction. He is also founder and instructor for the Associated General Contractors Project Manager Institute. In 1997, Robert and his wife, Terry, established the Bowen Foundation which provides scholarships to minority students in Indianapolis to help them pursue an education past high school. About 300 students have received scholarships through this foundation. In October 2009, Bob was inducted into the Indianapolis Public Schools Hall of Fame. The Bowens, along with Purdue President Martin Jischke, founded Science Bound, a Purdue program initiated in 2002. The program mentors students from Indianapolis public schools, eighth grade through high school, encouraging them to pursue careers in science and technical fields. Science Bound students receive an opportunity to earn a full-tuition scholarship to Purdue. The Bowens also provided financial support to Purdue for the Robert L. and Terry L. Bowen High-Scale Performance Civil Engineering Laboratory, a research facility that allows engineers to test structures such as bridges and buildings while focusing on making construction materials more durable, safer and earthquake resistant. 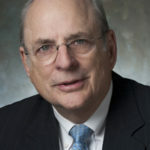 Dr. Bowen attended Purdue University, receiving his bachelor’s degree in civil engineering in 1962. In 1994 he completed the Harvard Business School OPM Program. In 2005, Dr and Mrs. Bowen received the Outstanding Philanthropist Award from the Indiana chapter of the Association of Fundraising Professionals for their generous financial support of education. In May, 2007, Bob was bestowed an honorary Doctor of Engineering degree from Purdue University; in May, 2011 an Honorary Doctor of Business Administration from University of Evansville; in October 2010 he received the Distinguished Member of ASCE award, and in March 2012, he received the ASCE OPAL Award for Outstanding Lifetime Achievement Award in Construction .